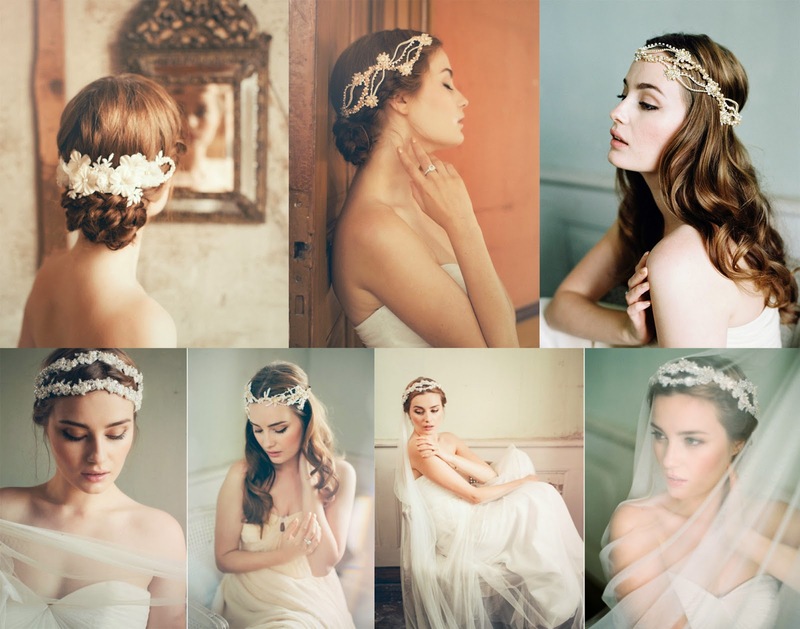 If you're looking for a way to add a little something extra to your wedding day look, an alternative hairpiece is the perfect opportunity! 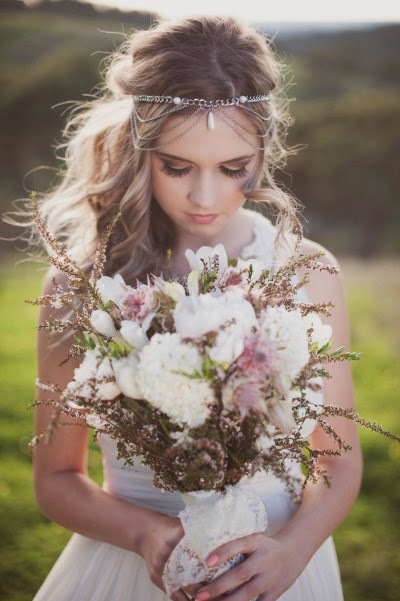 There are so many options: from flower crowns to rhinestones, beads and chains. Here is a little mid-week inspiration for you! A big, bold flower. 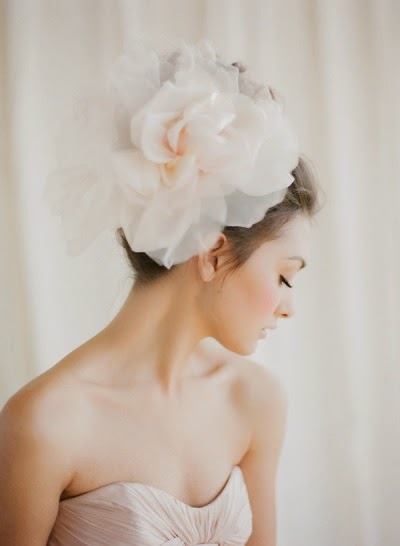 Elegant and classic, but still not a hairpiece you see on every bride. This ones a showstopper! 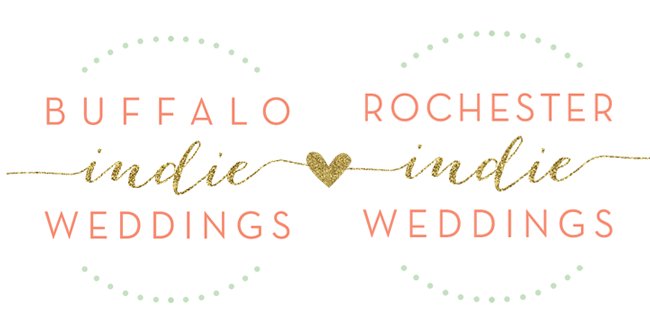 We talked about succulents as wedding favors in a post earlier this week. But what about a succulent hairpiece? 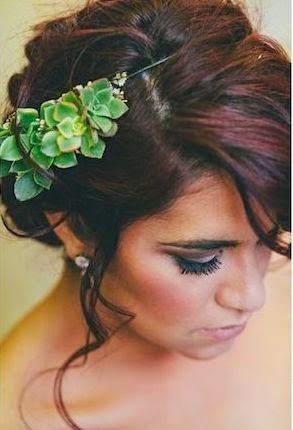 This has such an earthy feel and would be beautiful for an outdoor summer wedding. 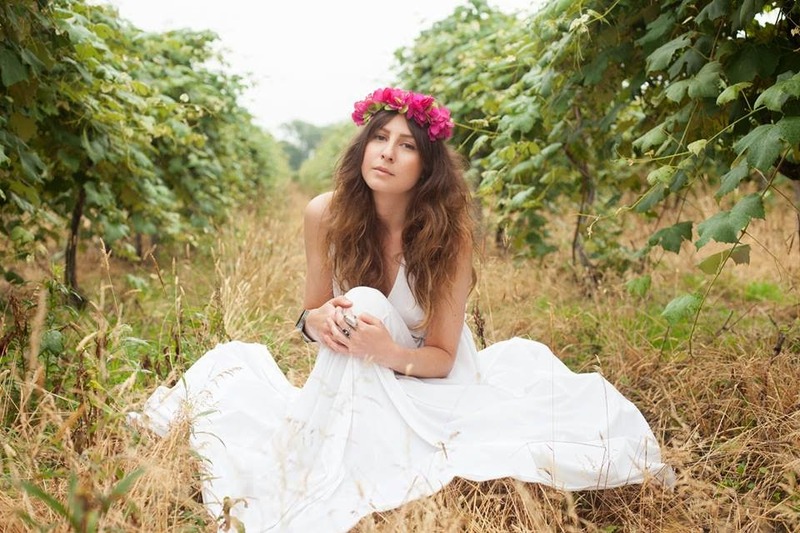 Add a pop of color with a flower crown like this one from local artist EPH Flower Crowns! 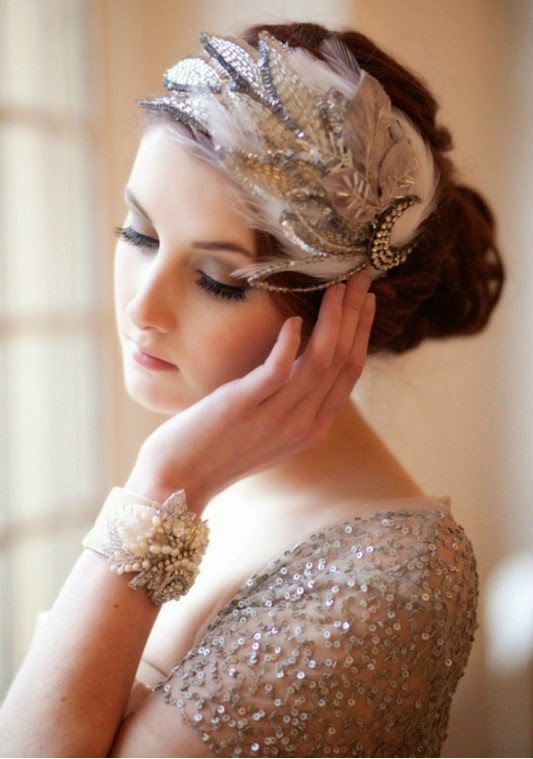 A 1920s inspired feather hairpiece. Local designer owllamode has so many unique beautiful pieces like this one! 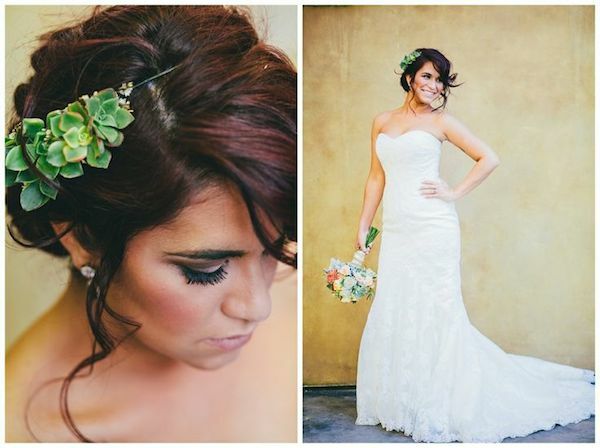 Make a loose updo your focal point and add a delicate chain hairpiece. Love the simple elegance of this beaded hairpiece. Whatever your style is, there are so many unique, alternative hairpieces to choose from! 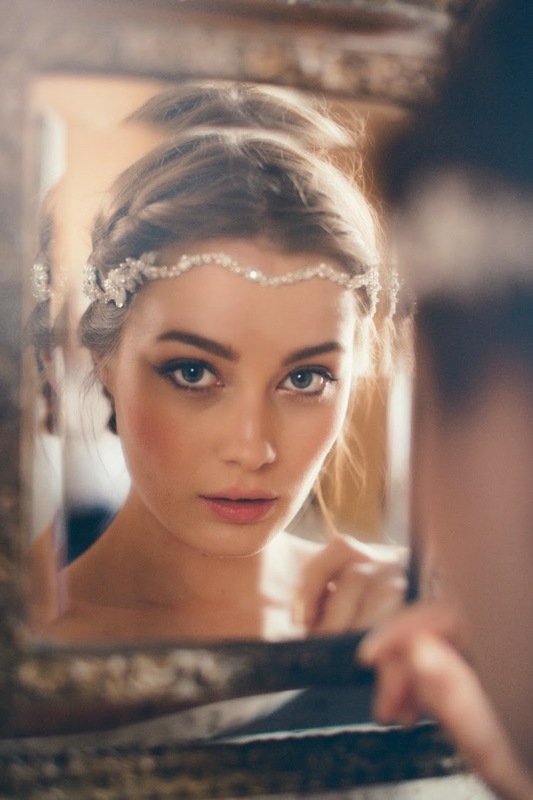 It's a perfect way to add a little more personal style to your look on your big day.